The film opens with the titular character, Morvern, lying on the floor by her dead boyfriend as the lights on the Christmas tree flash in the background. The scene is silent and utterly absurd. Morvern sits quietly, perhaps questioning what has happened, although the film never quite reveals what she’s thinking. Lynne Ramsay’s film is about violence, a reclamation, and reparation through violence, which enables women to remove themselves from oppressive male structures, and instead construct their own narratives, their own voices, and their own journeys through this very destruction. The film ends on an ambiguous but hopeful note as Morvern sits at the station waiting to begin her new life. In Carol Reed’s 1949 film, the director establishes the foreignness of the place and the confusion of the protagonist, Holly Martins, in the opening sequence. There is foreshadowing of the events to come, along with the dark mood of the story. The music, the unusual voiceover, and shadows set up the film for the dangerous mysteries of occupied Vienna, and eventually Harry Lime. By the time we get to the first scene of actual dialogue, Reed has established his film firmly into its setting and has informed the viewer of the type of adventure they are embarking on. How did Lime die? That question is the engine that drives the plot, as Martins plunges into the darkness that Lime left behind. 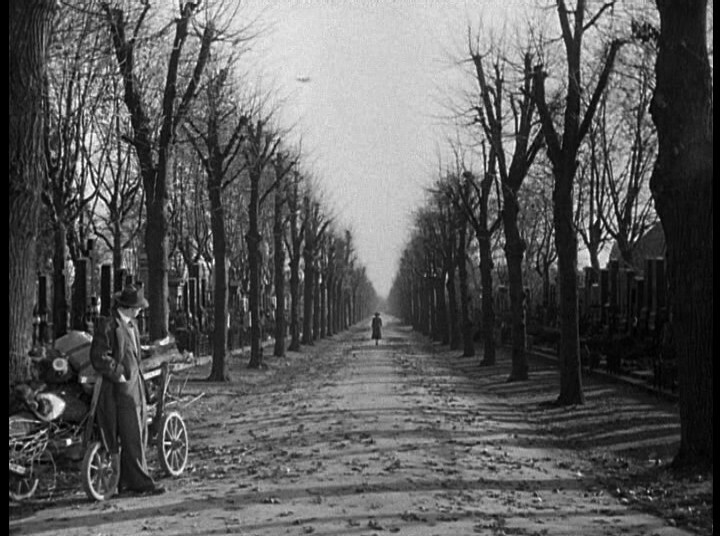 The final scene in “The Third Man” is a long sigh. It almost did not exist. Selznick and Greene originally wanted a happy ending. Reed convinced Greene that he was wrong. The movie ends as it begins, in a cemetery, and then Calloway gives Holly a ride back to town. They pass Anna walking on the side. Holly asks to be let out of the jeep. He stands under a tree, waiting for her. She walks toward him, past him, and then out of frame, never looking. After a long pause, Holly lights a cigarette and wearily throws away the match. Joseph Cotten recalled later that he thought the scene would end sooner. But Reed kept the camera running, making it an highly long shot, and absolutely perfect. The first couple of minutes consist of dreamlike shots of nature, with a man pensively strolling through it. We hear water and birds and nothing else. No spaceships whatsoever. The reasons for opening the film with slow shots of water may be clear. But why introduce protagonist Kris Kelvin’s father and his house so deliberately? 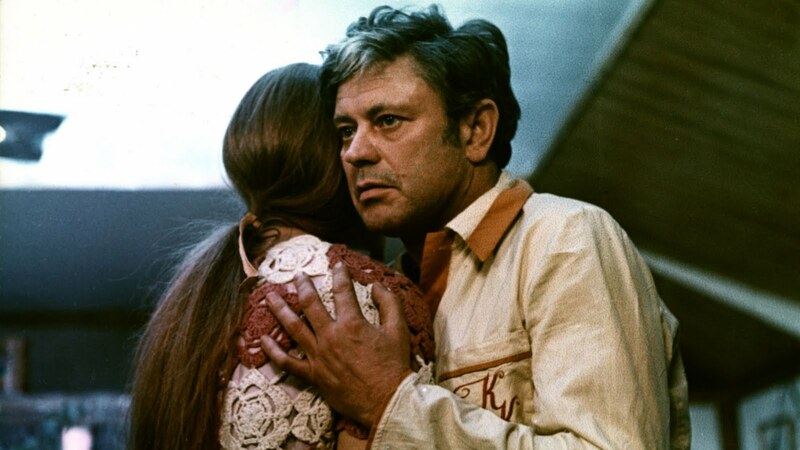 Because Tarkovsky wants us to remember the father and his house. Throughout every scene we see in “Solaris,” he reminds us in small ways of earth, childhood, home, of a place we can never return to. When, finally, after traveling with Kris to the other side of the universe, the film returns to the father and his house, and we understand the meaning of the first scene. That’s the emotional payoff: remembering the first scene while watching the last, we learn how time sculpts our thoughts on home and time itself. The first scene is one of the most subtle scenes in cinema. Ethan and Martha’s love is expressed without any dialogue or explicit act of romantic love. In this scene, John Ford perfected the most sophisticated and intellectual directing technique: visual implication. In film, implication has two main attributes: deeper meanings conveyed in dialogue, and suggested meanings expressed in actions of the actors. These suggestions are often presented in a specific pattern. Ford used both forms of implication, but had a great preference for revealing his characters and telling his stories through the suggestive actions of his characters, especially through their eyes. Ford’s preference for static shots was so powerful because it gave his audience the time to read his actors’ reactions. 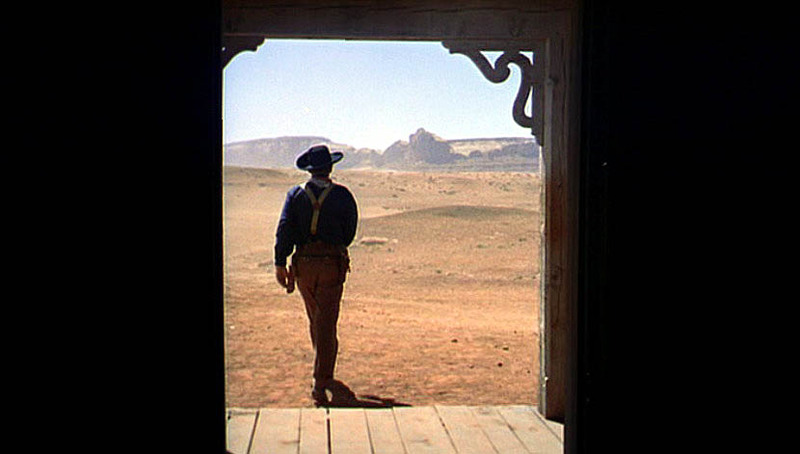 John Ford’s classic film opens and closes with essentially the same scene: with a doorway. As for the doorway, it’s a brilliantly simple way to show that Ethan is trapped between two worlds: the outlaw west and civilization. 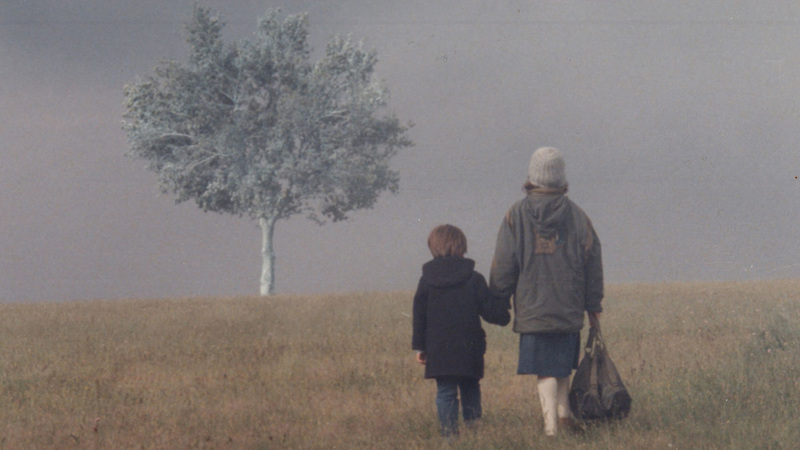 Theodoros Angelopoulos is one of the greatest directors to have ever lived, and this is one of his best movies. It’s only natural that it would end up at the top of my list. Voula and her five-year-old brother Alexander board a train to Germany to locate the father that exists only in their dreams. It opens with a shot at a train station. It ends with this one: the pair board a train, then decamp when they overhear the need for passports. They try to sneak across the border to Germany. They get into a boat and take off. Just as they disappear out of view, shots ring out from the border guard tower. The next we see it is morning, misty, and the kids land at what seems to be the other side of the shore. There, Alexander sees a tree in the distance and says, “In the beginning there was the dark, and the light was divided from the darkness.” The two run toward it, hug it, and from a distance seem to blend in. They have transcended. Their quest for their father has likely led to their death. The final shot can be taken several ways, but that is what makes it one of the greatest ones in film history.